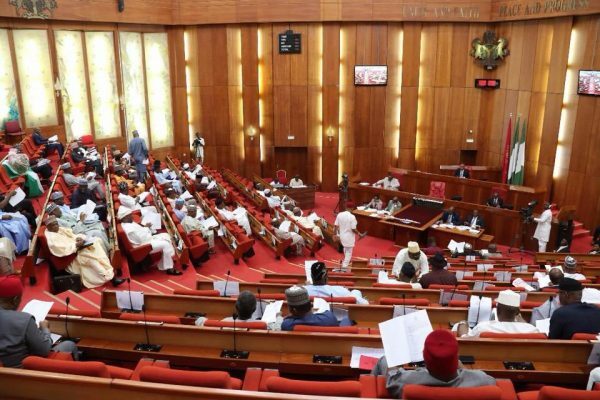 The Nigerian Senate has resolved to probe the link between the Paris Club Refund and the Office of the Attorney General of the Federation where an alleged plan to defraud Nigerians of over $200 million dollars was uncovered. It was disclosed that the whopping sum had been warehoused at the Central Bank of Nigeria, CBN. This disclosure was made following an adopted point of order 42 raised by senator Dino Melaye representing Kogi West. “Mr. President and my very respected distinguished colleagues, I have a profound evidence to buttress, elucidate and prove that there is a massive corruption that is about to be incubated. “Mr. President, this is in relation to the Paris club refund where already there is a plan between the Paris club refund and the office of the Attorney-General of the federation where over 200 million dollars have been warehoused as I speak, with the Central Bank of Nigeria. “Already, there is a sharing formula to defraud Nigerians of this amount of money. Mr. President, if I have the leave of the Senate, I will want to bring a substantive motion on the next legislative day”. Ruling on the matter, Senate President, Bukola Saraki put it to a voice vote and, it was unanimously approved for the lawmaker to bring a substantive motion. The post “There Is A Massive Corruption That Is About To Be Incubated” – AGF Office Faces Alleged $200m Corruption Probe appeared first on LATEST NIGERIAN NEWS BREAKING HEADLINES NEWSPAPERS.